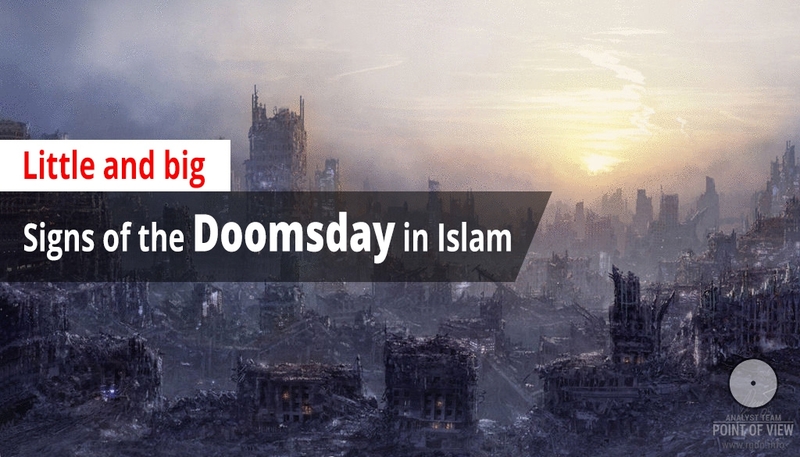 Nowadays very many people on the planet believe that Islam means destruction, severe restrictions, stagnation, backwardness, and other terrible vestiges and customs. There are numerous reasons why such a deeply erroneous opinion predominates in the consciousness of many people. 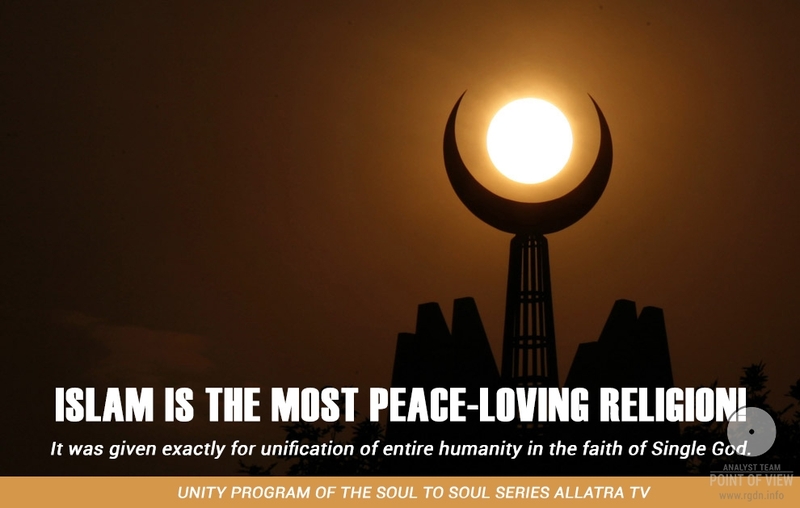 However, should people watch the Unity program on AllatRa TV, all their prejudices against Islam will be dispelled like smoke of an extinct fire, for in this program Islam is represented in its original purity and clarity. One of major reasons of the aforesaid erroneous view is surely the way of life and aggressive anti-infidel rhetoric adhered to by some people who consider themselves true Muslims only because their beards reach their chest and they have cut off many human heads. Yet, as a matter of fact such people are infinitely far from the genuine Teaching passed on by Prophet Muhammad (peace be upon him) and preached by the Prophet (peace be upon him) in his times, verbally by the way. To these “infidel fighters” we may add other representatives of the so-called Muslim world whose ideas are also far from the real Teaching of the Prophet (peace be upon him). These are hypocrites and custom-bearers who are as distant from Islam as those who kill and explode. While the former, being in deep delusion, led and deceived by their shepherds, agree to cause human death and sufferings, the latter, being in comfortable external conditions and using rites and rituals as a cover and a way to demonstrate that they follow the true way, have reduced everything brilliant and divine in Muhammad’s Teaching to banal formalism and external worship. Well, I totally realize that many people will dislike, to put it mildly, what I have just written, thus I view it appropriate to extend what I mean. Such concepts as five daily namazes (prayers), dhikr (mention), dua (entreaty), etc. were given by the Prophet (peace be upon him) so that throughout the day people would be in deep inner sensory connection with the world of the Almighty. In essence, these are mere tools for a person to tune oneself like a musical instrument and produce either an enchanting divine melody or a distressing ungodly one, tertium non datur. In this world there are only two flows (let’s call them so for convenience): the flow of the Almighty Lord and the flow of shaitan. A person’s task is to tune oneself to the flow which he or she has chosen as first-priority and dominant and, having joined the flow, to become its part. When mundane things hold one’s thoughts and deeds, this means the person chooses the perishable material, i.e. serves shaitan. 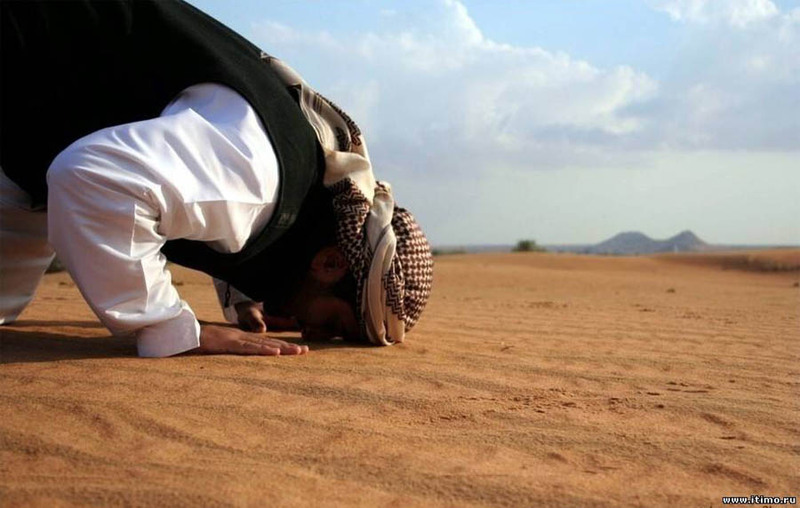 But when a person adheres to the spiritual in his or her thoughts and deeds, uses the material without becoming its slave and does not permit it to rule in his or her consciousness, thus holding on the pure spiritual wave (via prayers, dua, dhikr and other tools), this means he or she serves Allah – the Creator and Lord of all worlds. Such a truly faithful person can never be drawn into a slaughter of other human beings via statements from the Holy Quran taken out of the context, since those statements actually mean totally different things. The knowledge was given by the Holy Spirit (Ruh al-Qudus, Angel Jibrail) to Muhammad (peace be upon him) for the purpose of uniting all people into a single family where the Light of Truth would rule, but not for impious people to use Quran words for their personal ambitions and send people to death, taking advantage of their trust, naivety and ignorance. What underlies all the aforesaid problems of present-day Islam and the rest of religions? This question may certainly be answered only in a complex manner, although the most significant reason is obvious: it is the lack of pure Knowledge. To be more precise, the Knowledge is available, but not all people are aware of it. Once humanity discovers and gets use of this Knowledge, all artificially created problems will vanish. Many might get indignant: how come the Knowledge is not discovered? What about the Quran and Sunnah? Let me respond in order. There are surely grains of Knowledge in all religions, but there is no single spiritual and moral worldview. Hence, there is no real understanding of those grains, since they are covered with weeds to such an extent that proper understanding is simply impossible. 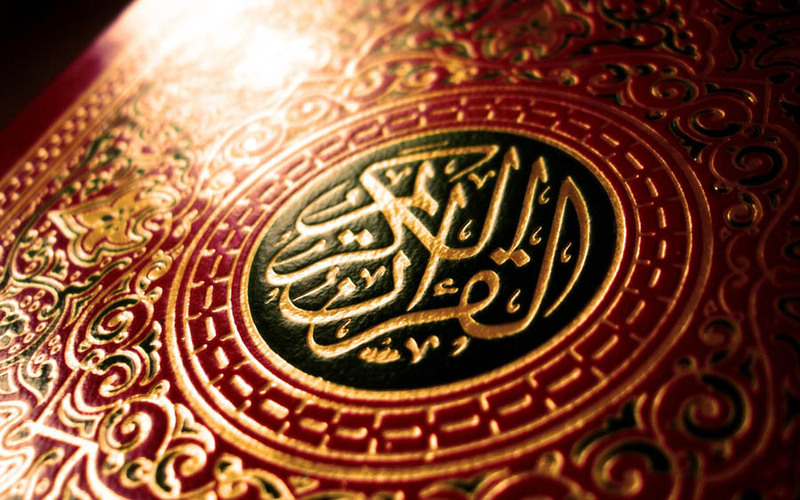 In order to grasp the entire depth of the Quran, one must read and study it in the original. Yet, can most people boast about perfectly knowing the Arabic language and having a high level of insight and wisdom as necessary to feel what is written there? We should not forget that most statements in the Quran are written in an allegoric, poetical form, so literal translation gives no understanding of the depth of the meaning contained in its words. First and foremost one should have a spiritual worldview for that, while most of today’s commentators of the Quran hardly have it. After all, who are these people? How pure are they morally and spiritually? 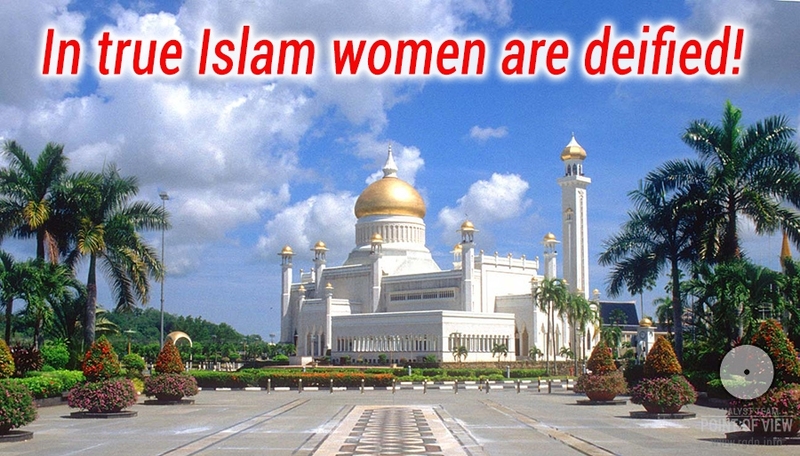 Aren’t they the ones who are busy with disputes about proper nutrition, orderly prayers, wars against infidels, and other “more important” stuff? May such “Muslims” assert they have a spiritual worldview so pure as to be able to transfer without distortions what was given to Prophet Muhammad (peace be upon him) owing to his highly pure Spirit?! Another essential point is that Prophet Muhammad (peace be upon him), just like all other Prophets before him, preached verbally. The first written collection of his statements was compiled after his death by his adopted son Zayd ibn Thabit who pooled all records of the Prophet’s sermons and (please, note!) made a certain initial version the Quran in 651. All subsequent records were made by words (!) of contemporaries and associates of Prophet Muhammad (peace be upon him), each of whom was at his or her own level of development and possessed his or her own individuality. That is, there was already a greater probability of distortions from the mind. Let me immediately note such reasoning is not an attempt to doubt the divine origin of the Quran, not at all! The Quran was given by Allah via Angel Jibrail to Prophet Muhammad (peace be upon him), so the Wisdom and Knowledge contained in the Quran could not have been a fruit of human mind. However, additions and amendments made by the human mind through shaitan’s intrigues were more than possible. Many will immediately refer to ayat such as this one, “Or do they say, “He has made it up”? Rather, they do not believe. Then let them produce a statement like it, if they should be truthful” (Quran 52:33-34). Yet, does it really contradict the aforesaid? Well, they can hardly produce a surah, but it’s totally possible to add certain statements or ayat, so that readers, no matter whether they know Arabic or not, would hardly guess and understand if the Prophet (peace be upon him) really said that. Thus, what I actually mean is that the Quran has been probably amended and supplemented with a word or statement in certain places, which surely altered the whole meaning. Even a single word may sometimes be understood or perceived in different ways, not to mention spiritual and esoteric understanding of such a complex and deep text as the Quran. To have clear understanding of what is meant in the Quran or Hadith, one should first of all have a spiritual worldview. Without such a worldview it is impossible to discern what comes from Almighty Allah and what comes from shaitan or human mind. A spiritual world outlook is what exactly prevents a person from getting enmeshed in cobwebs and temptations of this perishable world and helps a Muslim to be the true Muslim. Yet, without such a worldview and without the Knowledge a person gets easily persuaded that in order to reach paradise he or she must follow a certain external way of behaviour (with neither inner content nor connection with the Almighty) or kill infidels and get a reward for that. There will come a time for my people when there will remain nothing of the Quran except its outward form and nothing of Islam except its name, and they will call themselves by this name even though they are the people furthest from it. 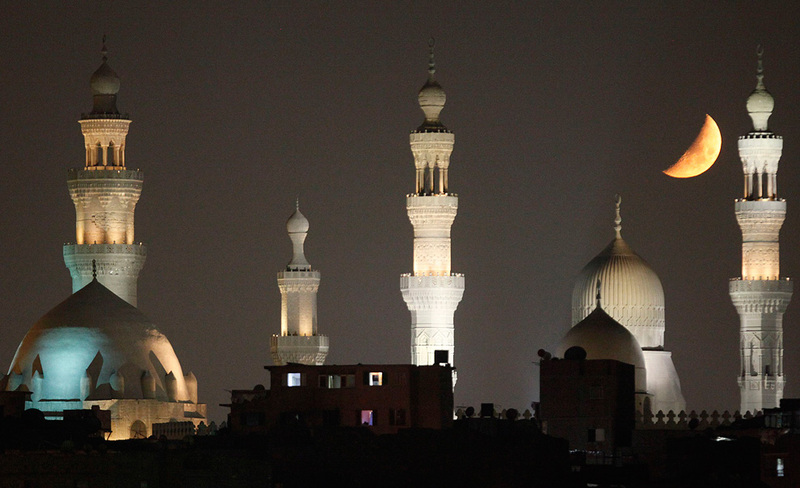 Mosques with be full of people, but they will be empty of right guidance. Religious leaders (Fuqaha) of those days will be mostly evil; they will spread mutiny and discord, and to them that will return. For this very reason Imam Mahdi (the One Guided by the Truth) – the Almighty’s Angel Jibrail – has restored the Knowledge, universal for all religions and nations. 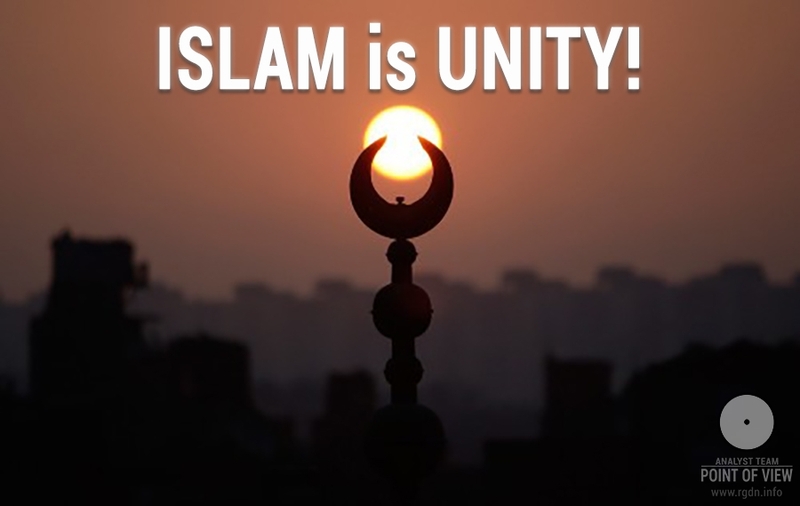 The Knowledge is single for all humanity and unites everyone as it was originally planned in Islam – the Teaching of Unity!